Heroes, Heroines, and History: What In the World Did People Eat For Easter Dinner? What In the World Did People Eat For Easter Dinner? The Christian world has just celebrated Easter; the joyous news of the resurrection of our Lord, Jesus Christ. Full of hope and joy, Easter, like all holidays, has its particular traditions, many of which, are evident on the Easter dinner table. In the weeks leading up to Holy Week and Easter, one needed only to wander through the grocery store to get a clear picture of what foods would likely grace local dinner tables on Easter Sunday. Ads featuring ham, eggs, yams, and asparagus abounded. Bakery departments touted their hot cross buns and carrot cakes decorated with bunnies and chicks. And don’t forget the candy; mountains and mountains of chocolate eggs and bunnies, marshmallow Peeps, and enough jellybeans to make a life-sized candy rainbow! 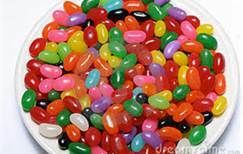 As for jelly beans, this sweet, colorful Easter treat is pretty much enjoyed the world over. It's history is rather murky, but Turkish delights, a form of the confection made of jellied sugar, rosewater, and covered in powdered sugar dates back to ancient Rome and is even mentioned in the Bible. Eggs and special breads seem to be a favorite Easter tradition worldwide. Aside from being a symbol of rebirth and Spring, eggs were often forbidden during Lent, so they became a treat when Easter finally arrived. Nearly every culture in Christendom has its own particular bread to symbolize a religious element of Easter. Let’s stop first in Greece. In Greece, as here in the US, eggs are colored and hidden for children to hunt. 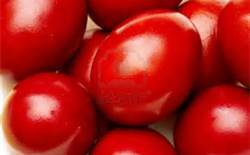 But instead of the multi-colored eggs we are used to, Greeks color the eggs red to symbolize Christ’s blood. Instead of ham, lamb is the entrée you will most likely find on a Greek Easter table. A typical Greek Easter meal might include roast lamb with mint sauce, an antipasto plate with roasted peppers, olives, and hard boiled eggs. Tsoureki, a sweet bread with whole colored eggs baked into the dough. For dessert, Koullourakia; a cookie made with orange juice and topped with sesame seeds. Again, roast lamb centers the table to symbolize Christ’s sacrifice as the Lamb of God. Eggs are on display, perhaps in a fritatta; a crustless quiche-like egg dish filled with seasonal ingredients. And it wouldn’t be an Italian Easter table without torta di pasqua; a bread made with cheeses and prosciutto. In the British Isles, roast lamb is again the traditional entrée. The British Easter feast would not be complete without a nice basket of hot cross buns; sweet yeast buns made with currants or raisins or other candied fruits and marked with a frosting cross on the top. For dessert you may find a simnel cake made with fruits, spices, and marzipan. The German Easter table would also likely include roast lamb, and maybe a beef and bacon dish called rouladen, potato dumplings, and red cabbage. For dessert there is Königskuchen (King’s Cake) made with raisins and currants and iced paska buns made with lemon and orange pieces. In France, you would dine on gigot d'agneau" (leg of lamb) and "les brochettes d'agneau" (skwered lamb). The lamb may be flavored with lavender sauce. Quiches and all manner of egg dishes are abundant. An array of cheeses dot the table. Dessert will definitely include chocolate; perhaps a chocolate berry torte or an almond cake drizzled with chocolate sauce. Australia observes most of the same Easter food traditions as Mother England. But in recent years, their native bilby—a rodent with a long nose and ears—has usurped the rabbit as the favorite animal to replicate in chocolate. Somehow the Easter Bilby just doesn’t do it for me. In Brazil you would sample pacoca, a paste made from crushed nuts, a whitefish called clipfish, and a ring cake made with orange juice and marmalade and topped with lemon icing. In Russia, you would again find eggs dyed red. 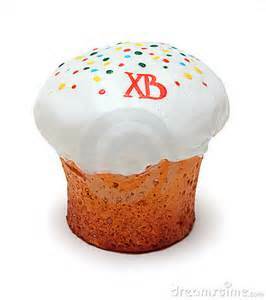 You’d eat kulich, a bread baked up tall and narrow and dotted with bits of orange, almonds, raisins, and saffron. With it, you’d dine on paska, a dish made from cottage cheese. As for America, I was interested to learn the reason ham is so prevalent on our Easter dinner table since lamb is the traditional meat for the European Easter meal. Turns out, lamb was not especially abundant in many parts of the New World. What was abundant? Oink, oink! You got it, the American colonists turned to the meat at hand and a new Easter food tradition was born. In the end I found that the world over, nothing brings families together like the joyous celebration of Easter and the traditional foods of the season that have found a fond place in both the hearts and stomachs of believers. What are your Easter food traditions? Are they relatively new in your family, or did your ancestors bring them from across the sea? I’d love to hear what in the world you had for Easter dinner! 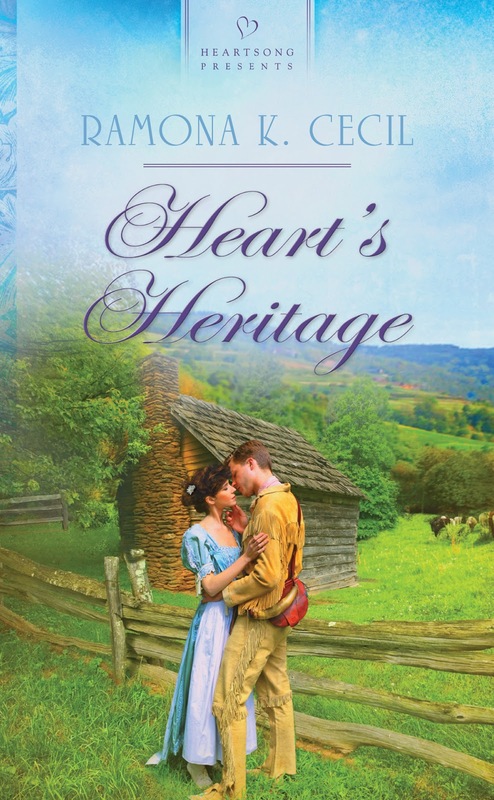 Leave a comment and earn a chance to win a copy of my newest book, Heart's Heritage. Very interesting, Ramona. I don't think I care for those chocolate Bilbys either. As for our family Easter eating...we have a bbq...hamburgers, hot dogs, salads, chips.... Thanks for sharing and God bless. Hi Debbie! Guess you have to be Australian to get the bilby thing. LOL I love the idea of "Cookout" food for Easter. We would have had to have our Easter picnic indoors this year where I live though. It was waaaay to cool to have an outdoor get together. Karla, here Lamb is very popular and nothing beats roast lamb. 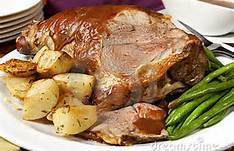 I grew up on roast lamb (leg) but never did one til mum moved to the nursing home. the first one was ok. the second I added to much water! I didn't do it again for a couple of years but last year my friend said use the electric frying pan turn it up high sear the sides for about 30 secs then put it in fat side down on a moderate heat or around 3 - 4. I cook it around 30 mins per half kilo (or pound) and turn it half way through. I actually give it about 40 mins per pound. No water, fat etc just a little salt. I know others add other things but it cooks easy and is really yummy. Ramona if you were in Australia you may like the Bilby its actually a cute marsupial thats highly endangered (its not really a rodent). It also has a pouch like a kangaroo. The rabbit is one of the introduced species that are threatening it. The reason for the bilby was to create awareness of the plight of the Bibly. We also have the hot cross buns. A lot of people have fish on Good Friday and Lamb on Sunday. Aw, the bilby sounds so cute, Jenny. I didn't know rabbits aren't native to Australia. I can see how Australians would prefer a native animal over a non-native one. Thanks for the insights, Jenny. Very interesting! Our Resurrection Sunday fare typically is at someone else's home (from church), so we eat whatever they're having. But I usually bring potato salad, and they often have both ham and turkey. I always make cinnamon rolls for breakfast, and we make Resurrection Rolls in the afternoon with all the kids. I definitely like the idea of traditional foods for this special holiday, and may put some thought into a menu with meaning. Thanks for sharing! Lamb is not my favorite entree either, Bethany, but I do agree it seems more fitting for Easter. I love the idea of making Resurrection Rolls. That's something new to me. What are they, how are they made, and why are they called "Resurrection" Rolls? Oh Bethany, that is sooo neat! I'd never heard of that. What a wonderfu---and yummy---way to teach children about the Resurrection story! Thank you so much for sharing this! Got to pass this on to my daughter and grandkids! I grew up with paska and hot cross buns. Mom's paska was without the traditional lemon flavoring, as the family did not care for it. Hot cross buns always had raisins, perhaps because they were less expensive than currants and none of us cared for candied fruit. I am pretty sure we had scalloped potatoes with our ham, but we frequently had turkey. This was because, as a pastor, my Dad was not paid well, not like we make sure our pastors are now. We ate turkey for most special days, as it was much cheaper. I really enjoyed learning about Easter meals in other countries. Thanks so much for sharing! Love it, Linda! Your son may just have started a new Easter food tradition in your family. Very neat! My daughter's brother-in-law's birthday is also on April 1, so his family had to combine the two celebrations as well. Funny I am reading this after devouring half a bag of jelly beans. :) (my stomach is protesting,ack!) Love all the different traditions. I'm hungry for bread now! Hi Wendy! Thanks for stopping by and good luck in the drawing. Loved the blog! We have ham at a lot of our family holiday dinners, so had baked round steak with brown gravy this past Easter - along with the usual deviled eggs, banana pudding, decorated Easter-theme cake & other vegetables & salads. Thanks for the opportunity to win the book! This year's Eastertide was thwart with a time issue, therefore, we sort of pulled off half traditional and half our own styling: we picked up a pre-cooked half of ham and turned it into an Italian pasta meal! Laughs. It worked for us, because we simply ran out of time to do anything else! When your crazy busy, sometimes its the spur of the moment ideas that end up being the ones that stick to your memory years' later as being the holiday that you had a bit more fun with because you broke traditions and did something rather unexpected! :) :) I can say, I never liked the Peeps for candy and I always thought a chocolate bunny was a bit morbid! I mean, eating off the ears or tail!? Oyy. I completely forgot to even make deviled eggs -- because I'm so used to not being able to eat them! Laughs. We did have Egg Raisin bread, where the bread looks similiar to your Greek bread!? It didn't have the eggs baked into it, but it had the rises in the top where it appeared to be 'eggy'!? :) :) Yum! WENDY N WON RAMONA'S BOOK, HEART'S HERITAGE! WOO HOO!